A Virtual client is one that does not need to rent physical space in your building, but need a virtual address and phone number. Here is how to set up a licence in Operate for such a client. Start by following the general process of adding a new licence in Operate. While going through the steps in the linked guide, make sure to select Virtual in the Client Type dropdown. 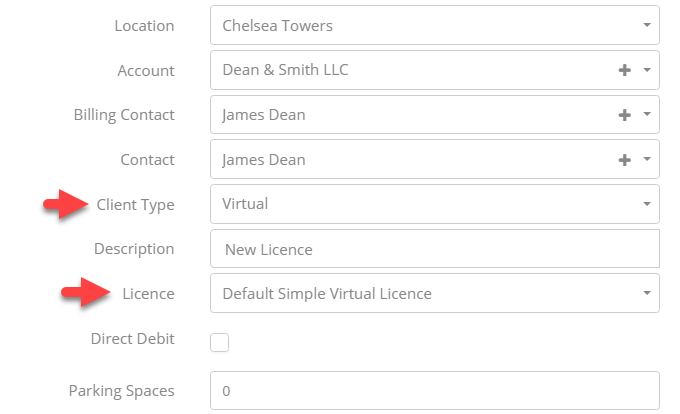 In addition, select a licence template that corresponds to the type of customer - in this example screenshot below, we are using a virtual licence template to associate to this client.